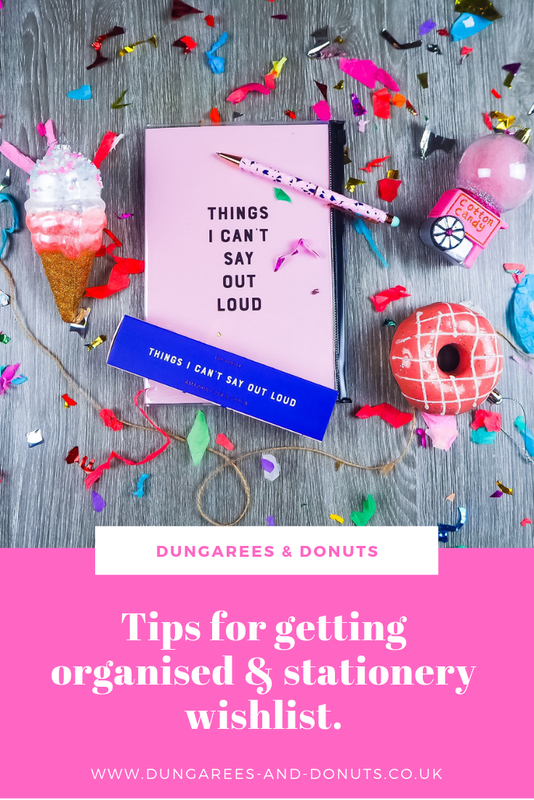 Tips for getting organised & a stationery wishlist. I am a huge stationery fanatic, always have been, probably always will be. Was there anything more exciting at the start of the school year your parents allowing you to buy some new fresh stuff, I mean who had pens left after 2 weeks into the school year anyway. There was always someone who had forgotten their pen, you never got it back and once word got out that you had a spare pen the whole year knew about it. 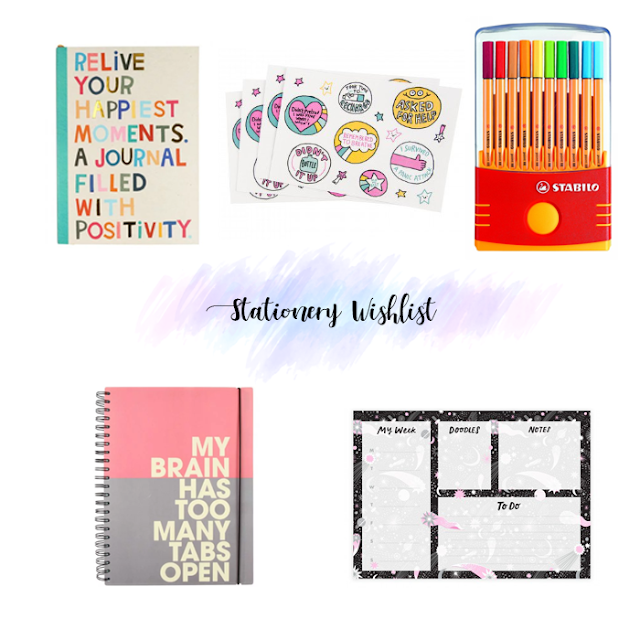 I do like to buy stationery often, it's one of my favourite things and I can say buying new coloured pens, new writing pens and a lot of notebooks can help me be more productive with my work. Before I started my latest job I bought a ton of stationery which in theory I actually haven't used that much of, but it's great to have a notebook and pen(s) when you need them. With blogging it is a totally different ball game, I love to write down my ideas, pages and pages of them in a variety of colours. I always write down my earnings as well as a back up to my computer, couldn't be dealing with the stress of that. I find that presentation folders help with keeping all of my paperwork together and I know Showcase Creative have a variety of creatively designed folders perfect for this. I like to have a diary to write down when my deadlines for work is due, which usually involves prioritising. I do enjoy being able to keep track of these in a notebook alongside those ideas which come to me at a random point in the day when I'm out (I usually transfer them across from my phone). However, as January marked another new year, I decided new stationery was most definitely in order. I decided to share my stationery needs (most definitely more wanting than needing them) to give you inspiration for your next stationery haul. I mostly like to shop for stationery at Paperchase, Ohh Deer and often what I see in the supermarkets. Anything colourful, you've caught my attention, anything cute and colourful you've got yourself a guaranteed purchase. Let me know in the comments what your favourite item from my wishlist is. Where is your favourite place to buy stationery from? Oh now I want all of these things! I am obsessed with stationery, I have so much of it and still always want more! I've always been a bit of a stationery addict, I love those fine liners! I'm a bit of a stationery addict too! I just can't help myself buying it! I definitely need to get more organised. I adore stationery too, you can't beat it for cheering up a grey day can you? I love that happiness journal, what a lovely, colourful thing! Pretty stationery is a great way to get myself more focused - being organised is much more fun when it's pretty. You're talking to the biggest stationary fan ever! Loved this post. I love stationery and one of my favourite places to buy it on the highstreet is The Works. They have a great range which is very affordable. Otherwise I love buying independent stationery from sellers on Etsy. The truth about driving distractions. Velvet Caviar: Pretty yet protective? 5 reasons why you should visit Manchester. The truth about Tribe and tips to win.